As is known to all, LED Aluminum Board to drive the cooling application the development of the industry, because the LED Aluminum PCB Board heat characteristic, moreover also has high heat dissipation, low thermal resistance, long service life, the advantages of resistance to voltage, with the improved production technology, equipment, product price rationalization, and expand the application field of LED industry. 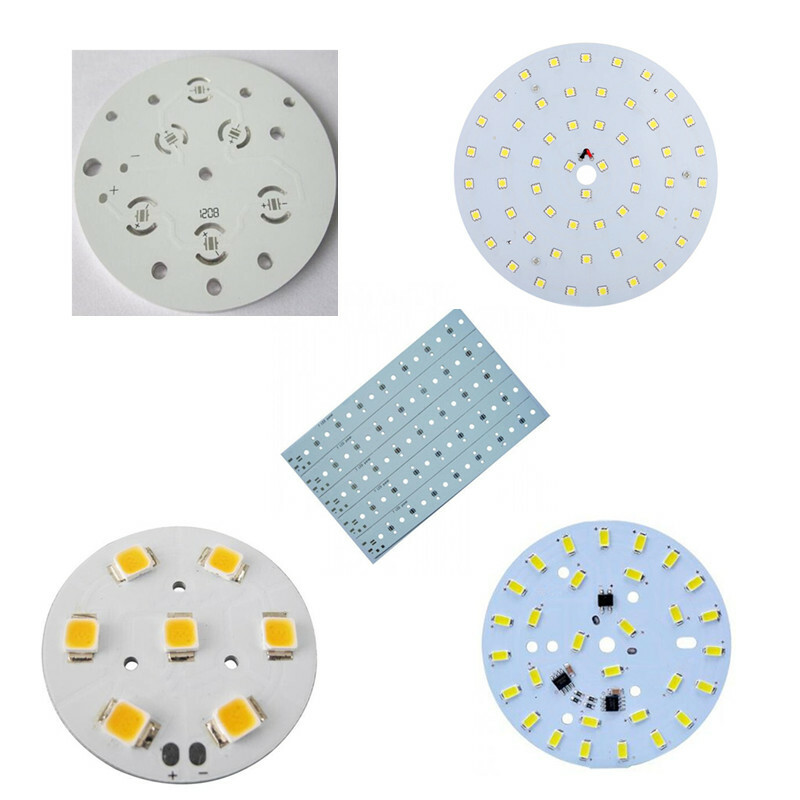 At present, the product application of LED Aluminum Printed Circuit Board covers the whole lighting application industry, such as commercial lighting, indoor lighting, LED outdoor lighting, etc.As a whole, LED aluminum board will continue to develop at a high speed in the next few years. Because aluminum has high thermal conductivity and heat dissipation, it can effectively export the internal heat.Aluminum PCB is a unique metal clad copper plate with good thermal conductivity, electrical insulation and mechanical properties. 5. Replace fragile ceramic substrate to obtain better mechanical endurance. Cireuitl.Layer: copper clad with common PCB, with copper foil thickness loz to 10oz. DielcctricLayer insulation: insulation layer is a layer of low thermal conductive insulation material. BaseLayer:metal substrate, usually aluminum or optional copper.Aluminum – based copper clad plate and traditional epoxy glass cloth laminate. The thermal insulation layer of high performance Aluminum PCB uses this technology, which makes it have excellent thermal conductivity and high strength electrical insulation performance.Metal base is aluminum pcb board support components, requires high heat conductivity, generally is aluminum plate, also can use copper (copper plate can provide better thermal conductivity), suitable for drilling, punching and shearing and cutting and other conventional mechanical processing.Compared with other materials, PCB materials have incomparable advantages.Suitable for SMT on the surface of power components.Without radiator, the volume is greatly reduced, heat dissipation is excellent, good insulation and mechanical properties. Of course, due to the rapid development of China’s aluminum pcb industry in recent years, there is a fierce competition.Therefore, technological innovation has become the main means for the manufacturers to grab market share. “Aluminum PCB Board Automatic Production Line”, this technology realizes the automatic production of the aluminum circuit board, the quality is more guaranteed, reduces the energy consumption, reduces the cost. 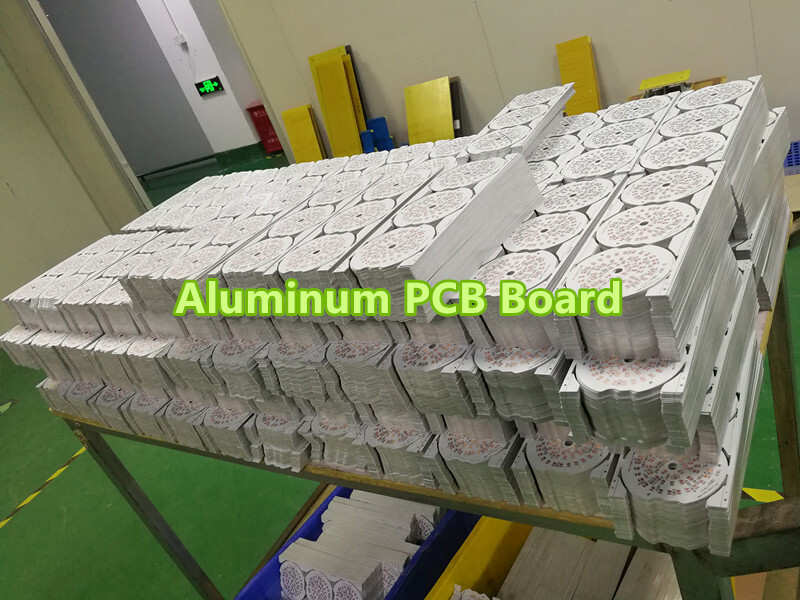 There are many names for this aluminum product; Aluminum clad, Aluminum base,Metal Core PCB,Metal Clad Printed Circuit Board(MCPCB), Insulated Metal Substrate(IMS or IMPCB), Thermally conductive PCBs, etc,but they all mean the same thing and perform the same way. KingSong as been offering aluminum PCB manufacturing services for more than ten years.Our full feature Aluminum PCB boards making capabilities and value-added options including Free DFM Check allow you to get high-quality aluminum PCBs done within your budget. 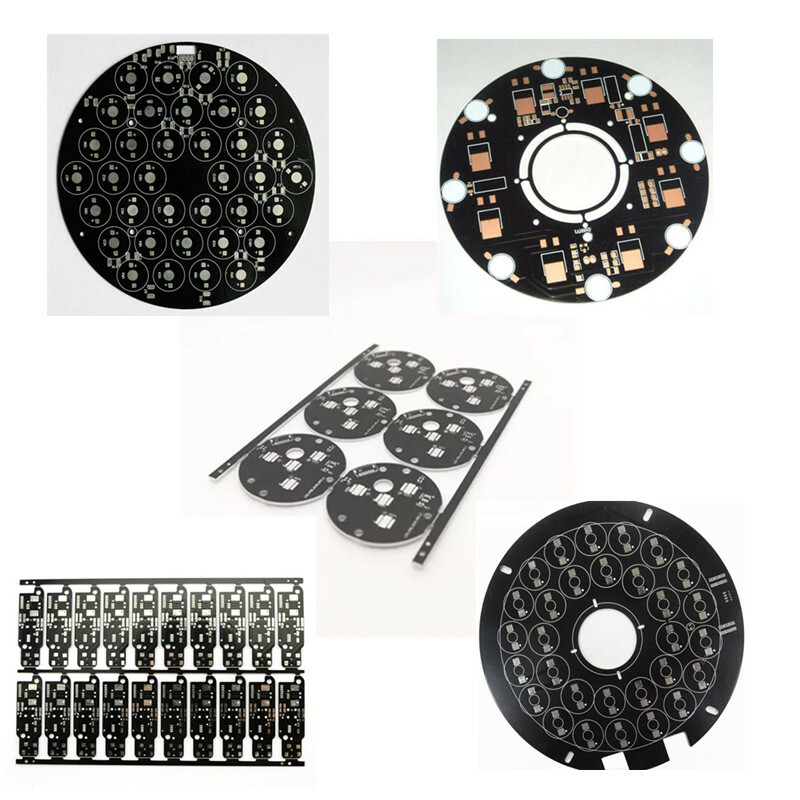 Aluminum PCBs printed by us are widely used for LED lighting, power equipment and automotive systems.